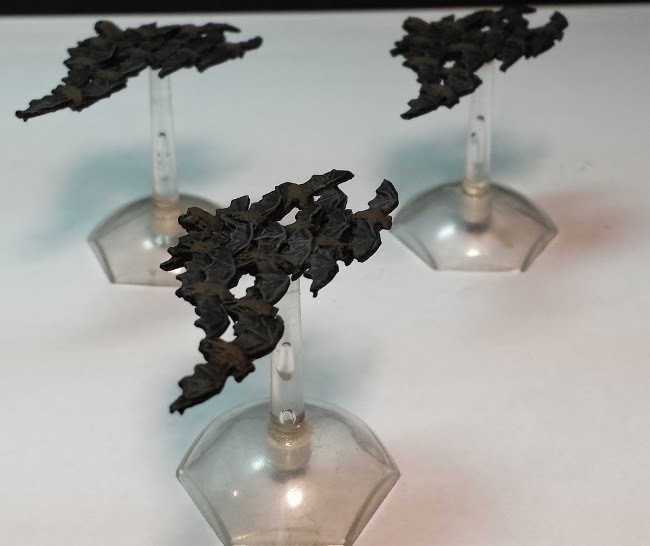 These batswarms are from Mirliton Miniatures, and are some of the first RPG minis I ever bought! 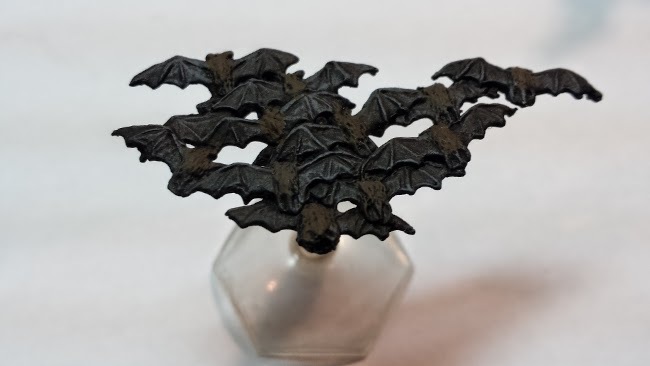 The minis work for Swarms, individual giant bats, all of the bat needs. And they look like they are flying!